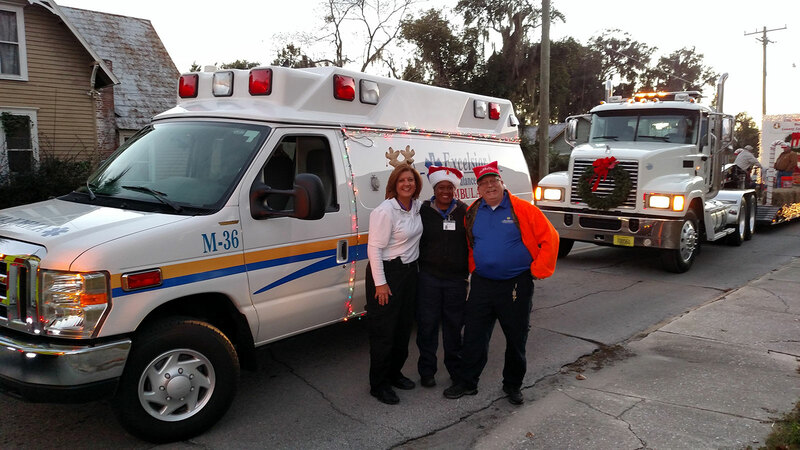 10/26/2016 Lake City had a teaching day at the Pinemount Elementary School sharing how and when to dial 911 to preschool children. 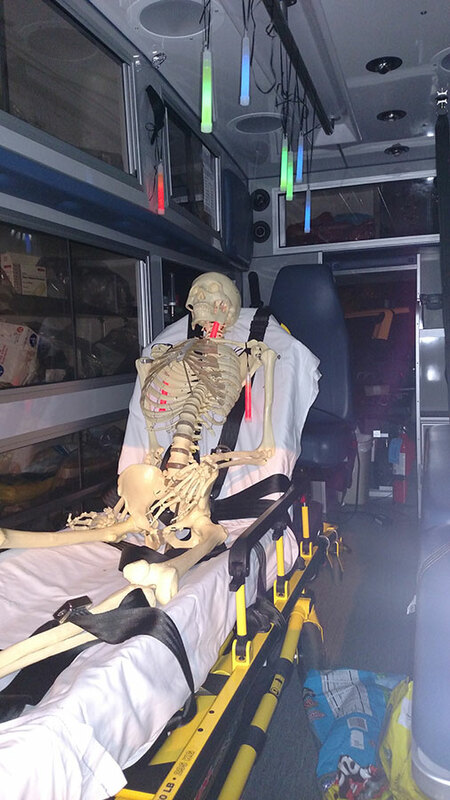 They discussed what kinds of questions the dispatcher might ask and allowed them to crawl through the ambulance to help allay any fears that they might have about ambulances, EMS, or other healthcare professionals! 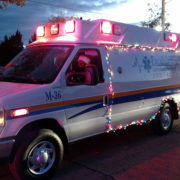 It was a huge success and the children loved it! 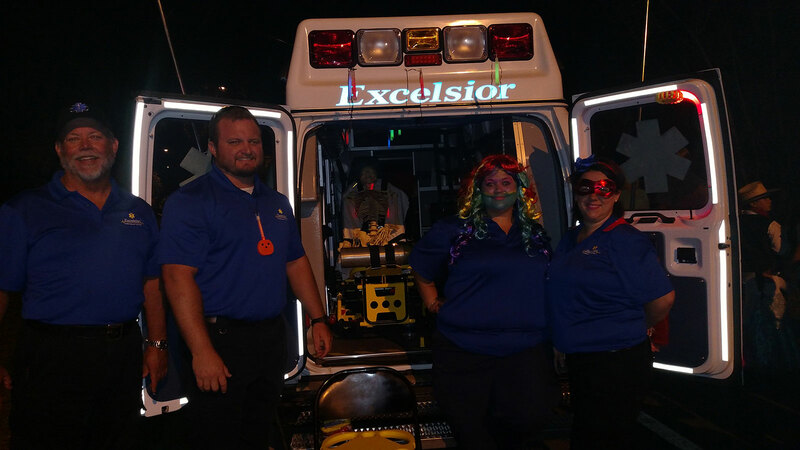 10/28/2016 We participated in Trunk or Treat! 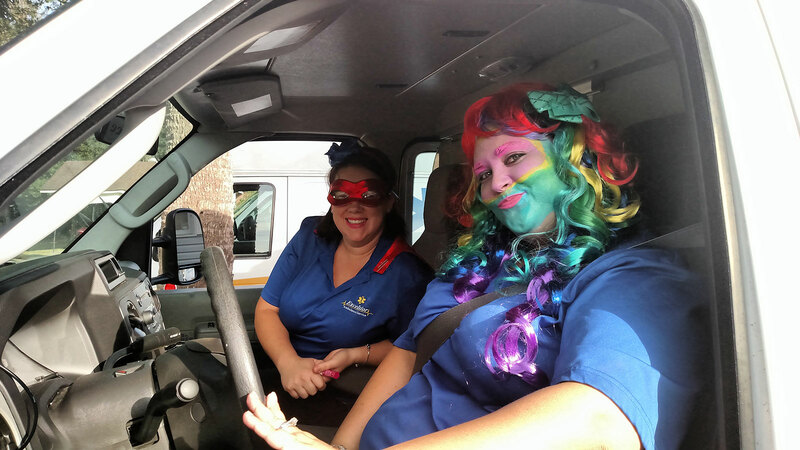 All of the participants are encouraged to decorate their “trunks” with a theme related to their business (hosted by the Chamber of Commerce) and we definitely decorated. 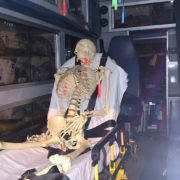 The patient was a skeleton, we used glow sticks to illuminate the back of the truck, and one of our guys rigged a piece of fishing line to the skeleton so that he could make him “wave” at the children. 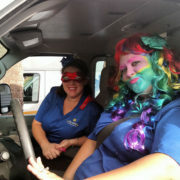 About 2500 children participated in the event plus parents. 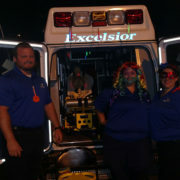 The Chamber provides all of the candy and it was a huge success. 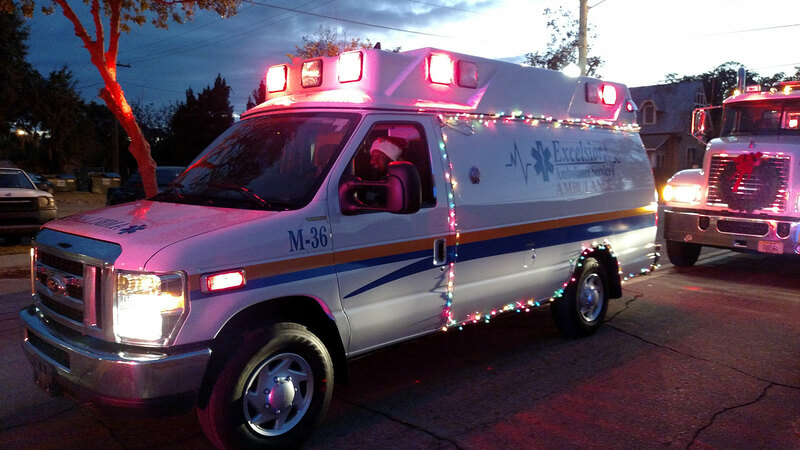 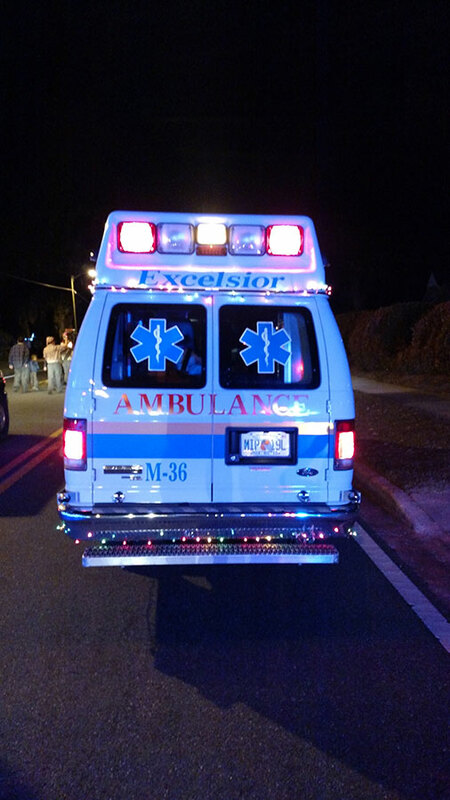 12/10/2016 The Annual Christmas parade included an Excelsior Ambulance decorated with Christmas lights and employees that passed out candy canes to all of the children. 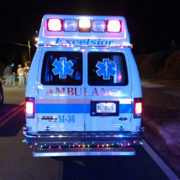 The parade had over 40 entries and included bands, churches, fire departments, and many local businesses. 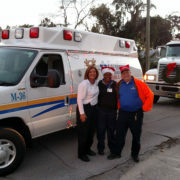 We handed out 2500 candy canes to children only, and still ran out before the end of the 2 mile parade route.